I always love to make hats with kids and Thanksgiving is the perfect time to do so! 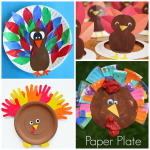 Here I have featured 8 of my favorite turkey hat crafts for kids to make. 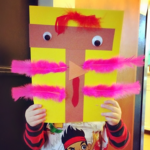 These are great for preschoolers and toddlers to wear around for pretend play. Just click on the links below the photo to get step by step instructions. 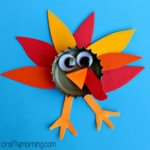 Big Turkey Hat with Wings – Cute idea that makes the turkey look like it’s flying. Turkey HeadBand – A great idea to use a ribbon to tie it on your child’s head! 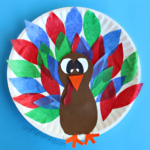 Paper Plate Turkey Hat – This one is super popular using bright and fun colors. 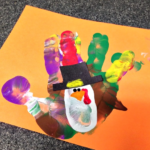 Handprint Turkey Hat – Use the kiddo’s handprint cutouts to make a cute hat! 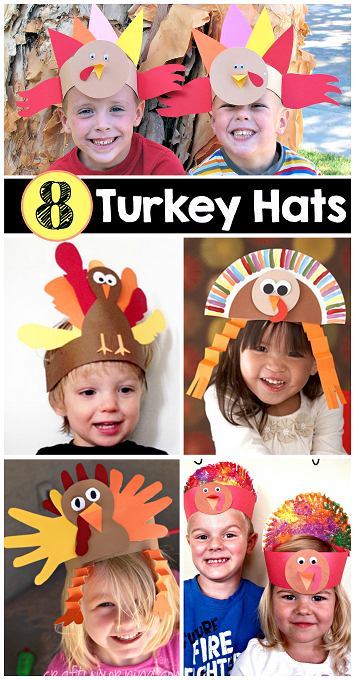 Sponge Painted Turkey Hats – A great art process to make unique hats. 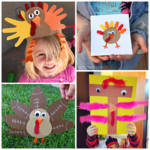 Brown Paper Bag Turkey Hats – This is so creative using a lunch bag! 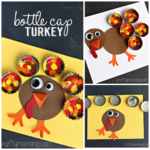 Turkey Pop Up Hat – Love how this is made from a paper plate. 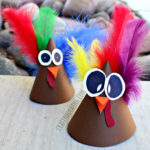 Turkey Cone Party Hats – Make these for your Thanksgiving party! 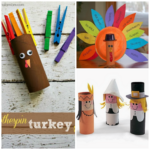 *Bonus* Turkey Legs Hat Craft – Instead of a live turkey – make some turkey drumsticks to wear!